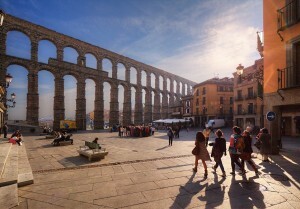 The aqueducts in Segovia were one solution to Spain’s need for water. But they’re not the only one. Photo by Paulo Guerra via Flickr. Viñuales lead an ambitious project that began with a challenge to the city’s citizens to save 1 billion liters of water in a year. He used a widespread media and social outreach campaign, offered free audits to help find water saving opportunities, gave discounts on water saving products, and even changed the city’s water bills so citizens could track their changes in usage. Zaragoza stepped up to the challenge. Yes, Zaragoza does a great job. We also need to follow a sustainable way to take a good use of our limited water.